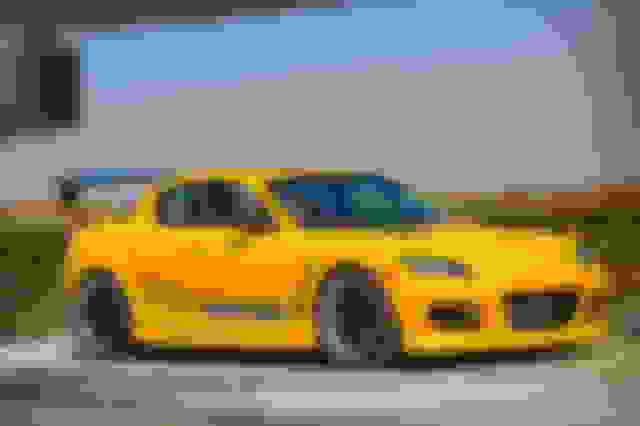 Hey guys coming here for some advice on body kits. I'm planning to get body kit and wide body for my rx8. I've been looking around and found some nice kits I like, but also seen covers. The covers are much cheaper than a new bumper and I was looking into them more. Just wondering if anyone knows anything about the covers, if they work and look good, strong and if anyone has any recommendations where I can get either covers or bumpers. Also, if anyone knows where I can get fibreglass hoods as I'm having a hard time finding them and only see carbon fibre which I dont want. Thanks again, and any other advice you guys have or personal experience with body kits and wide body kits I'm all ears! What do you mean by "covers"? All our bumpers are basically covers. If the bumper is cheap, then it's probably either poorly made, doesn't fit well, or is a knock off. There aren't many fiberglass hoods, as most carbon hoods are heavier than the stock aluminum. The only company I know of off hand is Autoexe. I have one of their hoods, but you're looking at like $800 + 1000 shipping. You're probably better off getting a carbon hood that's already stateside. Most wide body "kits" for our car are just over fenders, and maybe lips / spoilers... not so much what I would call a kit. I'm not 100% sure either but from my understanding, there are replacement bumpers that are a direct bolt on/clip, and then there are covers which I believe cover stock bumper but different style. All the ones I saw with "cover" were much cheaper then ones that didn't have cover in description/title so I assumed they were simply just a cover over stock bumpers. Fiberglass is super hard to find so I'm thinking I'll stick with original hood. For wide body I could either get molded fenders which would be a custom replacement or the bolt on which will go over the fenders which I'm leaning towards because I like the look of them and custom molded ones would be super costly. Was more or less wondering if anyone has gotten bolt on flares and there opinions/recommendations. Also, if anyone has ever gotten front bumper covers. But like you said, if they're cheap they are more than likely poorly made and cheap material so will most likely buy more expensive ones with reviews. Most aftermarket bumpers replace the existing bumper unless they are just a lower lip spoiler or the like. Rocket Vanya flares seem to be pretty popular at the moment and unlike the Pandem kit, you can actually use the back doors. Although they would need to be modified to fit another front bumper. Body kits are a hugely subjective topic. Just do what ever you want, its your car. Wow! Those are nice. Definitely interested in those flares. How hard would it be to modify around front bumper? But thank you, will definitely look into bumper and flares!! Which kits are of same quality as the MS kits? 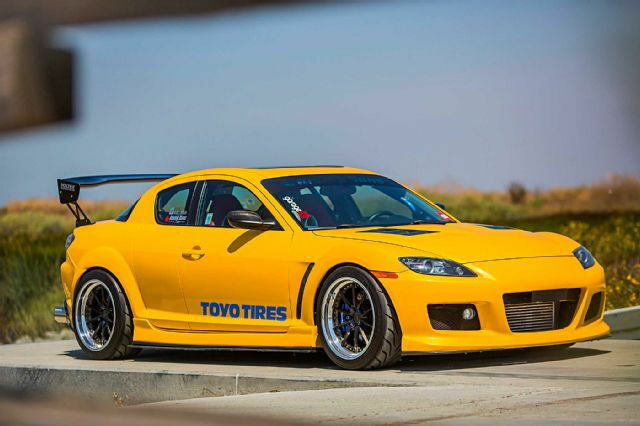 Where can i find rx8 body kits and rims? Any dealers in the GTA area? 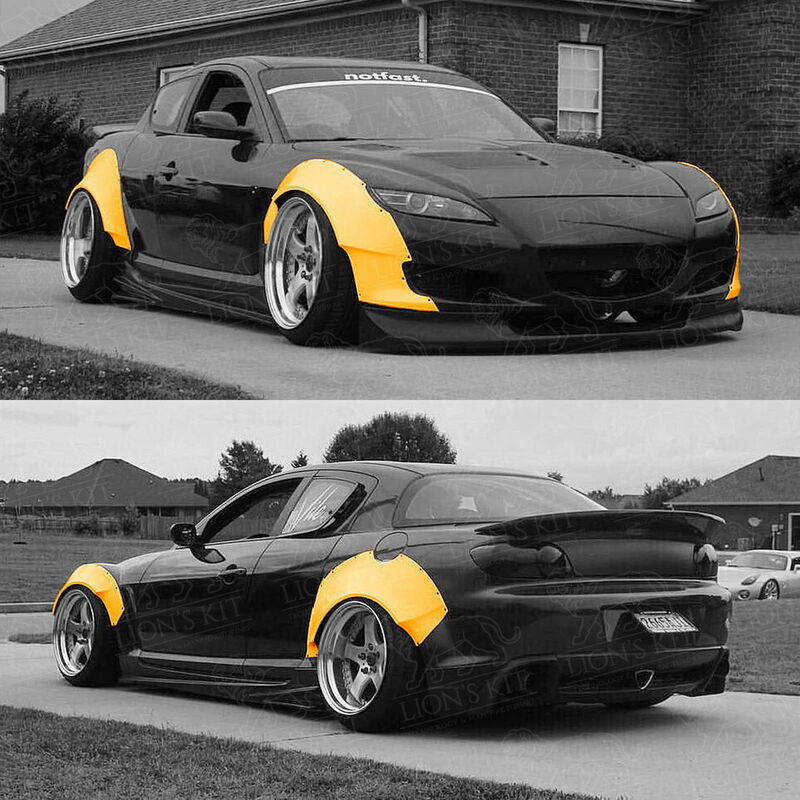 Quick Reply: Rx8 body kits.